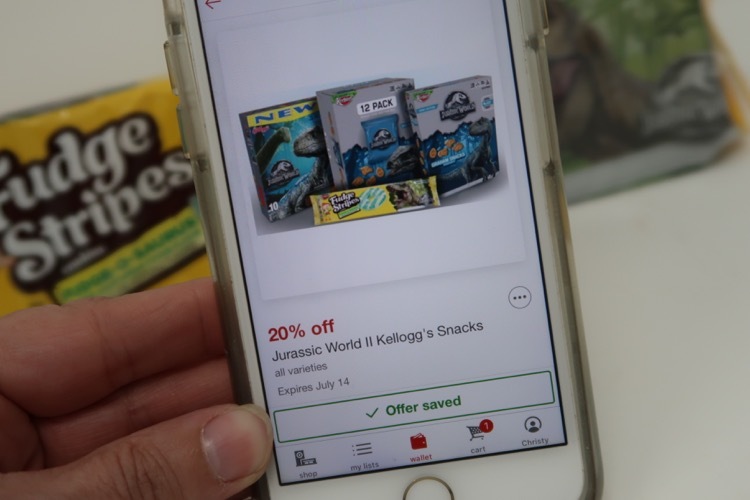 Your kids are going to love all the Jurassic World 2 themed treats from Kellogg’s and Keebler and you will love the fact that you can save 20% on the Kellogg’s & Keebler Jurassic World items with the Cartwheel offer at your local Target store. 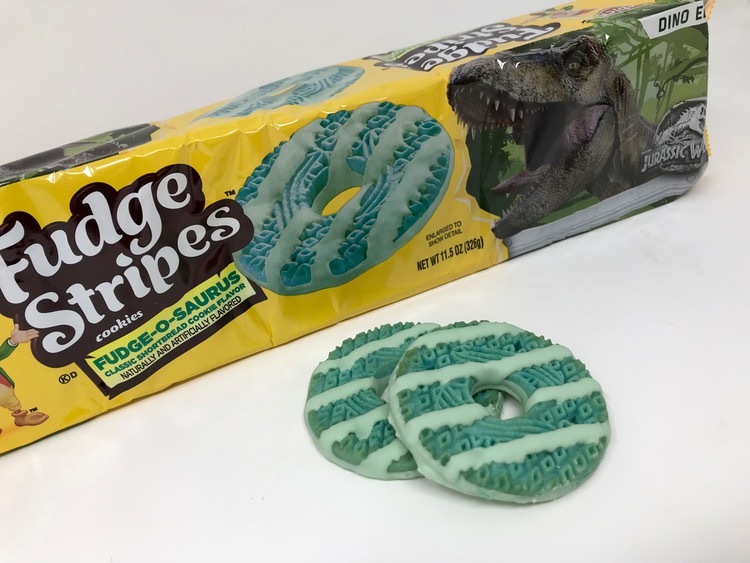 How fun is it that the Dino Edition of the Keebler Fudge Stripes cookies are blue for the Blue Velociraptor in the movies? It’s super fun to take two of the cookies and put a scoop of vanilla ice cream in between them. 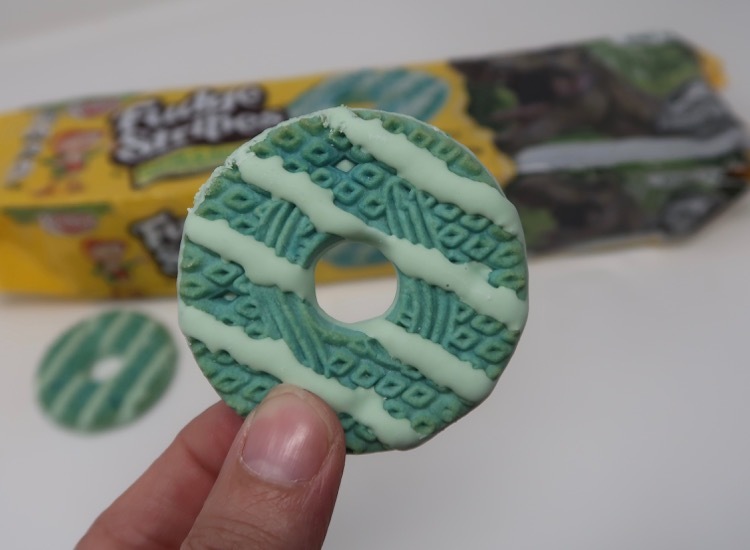 You’ll have yourself a Blue Cookie Sandwich. 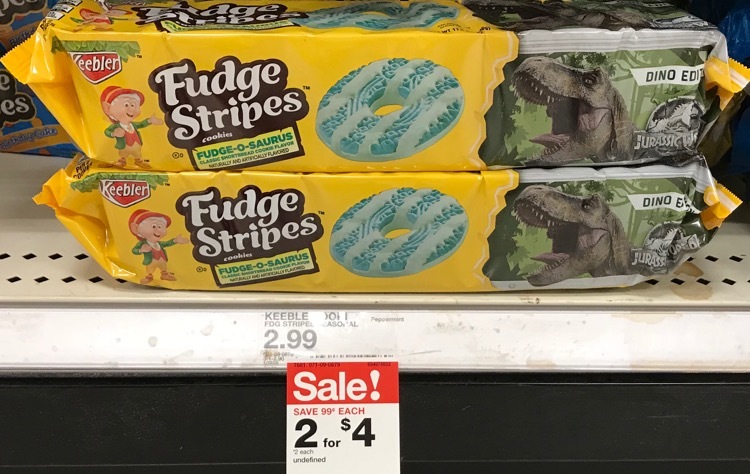 Here is what the deal looks like when you use the Cartwheel offer on the the Jurassic World Keebler Fudge Stripes Fudge-O-Sauraus cookies. You will save almost 50% off the regular price with the sale price and Cartwheel offer.